Buy 6 At Once and Get a Discount! 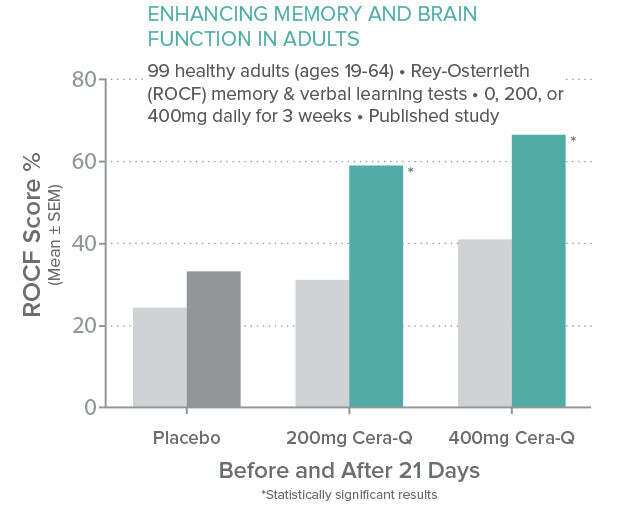 Backed by ample clinical data, Ceragen™ works to improve memory, learning, and general cognitive function. It also supports cellular health in the brain and protects against the axonal degeneration associated with aging. 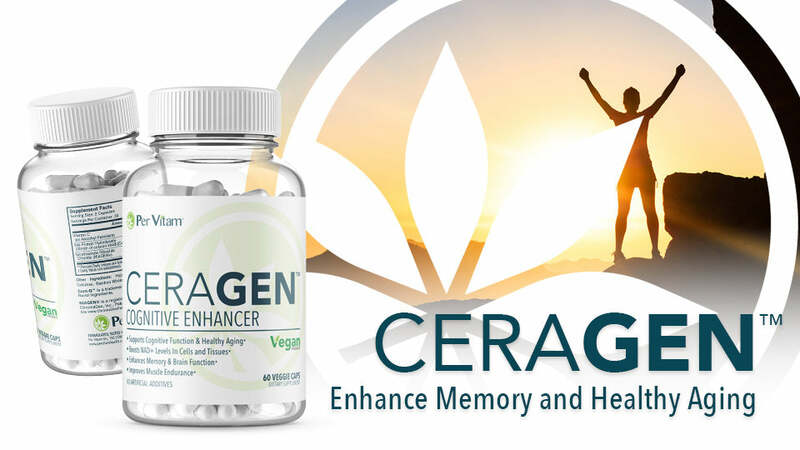 Ceragen™ may also improve muscle endurance, promote healthy cell metabolism, enhance thermogenesis, increase NAD+ levels in cells and tissues, and support healthy skin. Niagen®, a primary compound found in Ceragen™, promotes mitochondrial function, which is important to longevity and cell health. Niagen® also provides a beneficial effect on blood lipids by supporting healthy cholesterol levels. Also known as nicotinamide riboside (NR), Niagen® is a naturally-occurring form of Vitamin B3 (niacin) that’s readily absorbed by the body and converted to NAD+, an essential molecule found in every cell of your body. NAD+ is vital to proper mitochondrial function, allowing the food you eat to be converted into usable energy. However, as we age, NAD+ levels naturally decline, which impairs mitochondrial function, accelerating aging and the likelihood of developing a debilitating disease. Niagen restores NAD+ levels in the body, supporting your overall health and function and making for a long and happy life. NAD+ is found in every cell of the human body. It is an essential coenzyme that allows cellular mitochondria to function properly. NAD+ also allows the food that we eat to be converted into energy. With age, our levels of NAD+ decrease. This results in mitochondria dysfunction and a reduction in cellular energy. Mitochondria dysfunction not only expedites the aging process, but also is a driving mechanism behind many diseases. NAD+/niacin deficiency has also been tied to proper telomere health and length. Telomeres reside at the end of each chromosome. Telomere degradation, or shortening, is also a major contributor to the aging process. 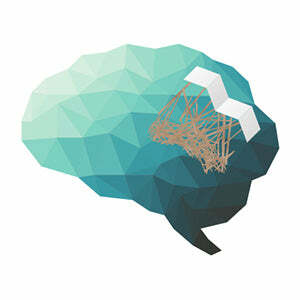 Cera-Q™ is new and exciting ingredient that enhances cognitive function and improves memory. A staple of traditional Korean medicine, Cera-Q™ is a protein hydrolysate comprised of 75% glycine and alanine that derived from a silk ?broin (protein) found in silkworm cocoons of all things! 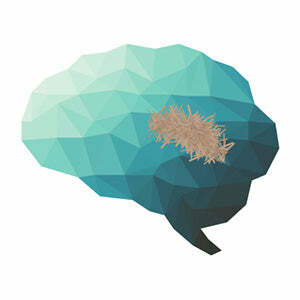 Alzheimer's disease is currently the most destructive and prevalent neurodegenerative brain disease. It is estimated that at least 5.1 million Americans alone suffer from this devastating brain condition. Korean medicine has been using silk fibroins for longevity and health for centuries. 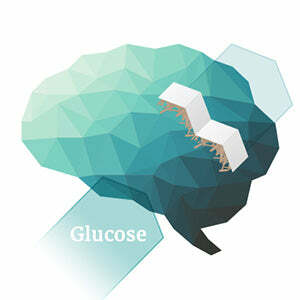 Cera-Q is also able to increase glucose uptake into the brain. This is important, because Cera Q is able to provide support and energy, assisting the human brain with all levels of cognitive tasks. The proteins found in Cera-Q (silk fibroin extract) are comprised of 75% glycine and alanine. These two amino acids are extremely useful in the battle against beta-amyloid plaque. Glycine and alanine work to bind with beta-amyloid plaque, impeding its buildup. Beta-amyloid plaque attacks and corrupts neuron membrane receptors, and impedes communication between brain cells. It also leads to inflammation throughout the entire body. Current research hints at the likelihood that beta-amyloid plaque buildup is responsible for conditions such as Alzheimer's disease. Aging causes beta amyloid plaque to form around our neurons and degrades neuron performance and cognitive function. Cera-Q utilizes a unique pleated sheet amino acid structure that binds to the beta amyloid plaque. 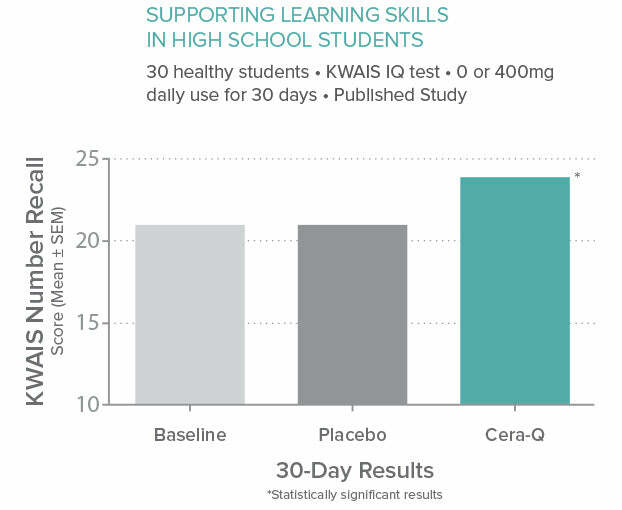 Cera-Q increases glucose uptake to the brain to improve brain function in people of all ages. This information is furnished without warranty, representation, inducement or license of any kind. The information contained in this document is believed to be true and accurate, but Novel Ingredients assumes no responsibility, obligation or liability that the information is sufficient or correct in all cases. You are responsible for determining if these products are appropriate for your use. 1. Chae HS, Kang YK, Shin YK, Lee HJ, Yu JI, Lee KG, Yeo JH, Kim YS, Sohn DS, Kim KY, Lee WB, Lee SH, Kim S. The Role of BF-7 on Neuroprotection and Enhancement of Cognitive Function. Kor J Physical Pharmacol 2004 Aug; 8:173-179. 4. Cantó C, Menzies KJ, Auwerx J. NAD+ Metabolism and the Control of Energy Homeostasis: A Balancing Act between Mitochondria and the Nucleus. Cell Metab. 2018;22(1):31-53. doi:10.1016/j.cmet.2015.05.023.